The members of Serene Green share a common goal—to influence the progression of bluegrass music with their own songs. Serene Green performances include mostly original songs, often mixed with a few traditional bluegrass songs or fiddle tunes. Serene Green is on a mission to preserve one of America’s greatest traditions, with a vibrant sound emphasizing instrumental prowess, soaring three-part harmonies, and original songwriting. Every Tuesday evening Music Hall presents our Tuesday Bluegrass Sessions. The sessions are hosted each week by a local bluegrass musician with friends or a band. 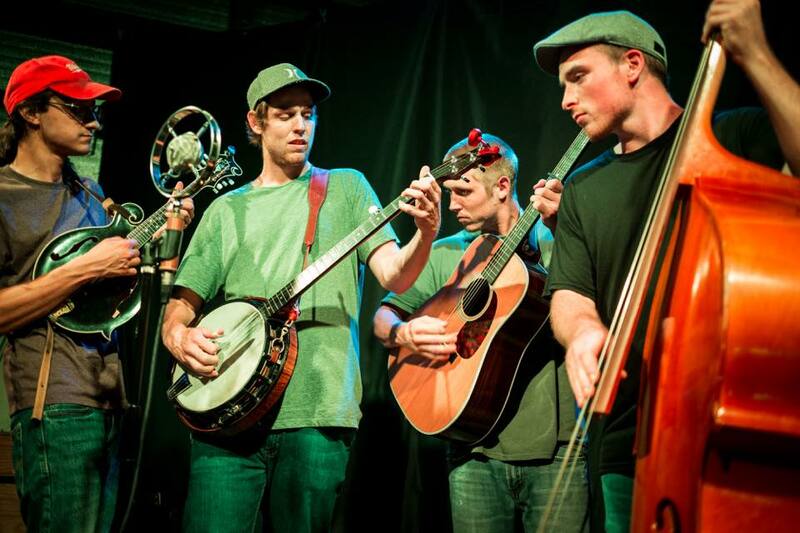 Following the host band, Bluegrass musicians from the Asheville area gather on stage to jam in an open session. Occasionally, we feature a touring band that will perform prior to the open session and help co-host the jam. It’s always a great evening of music and community.